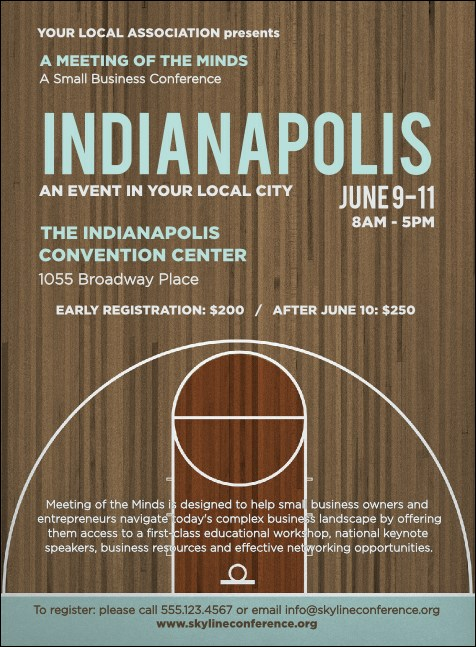 Show your guest list your pride in the Hoosier State when you print Indianapolis Basketball Invitations and advertise your next sporting event in advance. Get the local basketball fans on board with Invitations that feature a wooden basketball court background and light blue text for all your event details. You don’t have to be a Pacer to be professional at TicketPrinting.com!